Announcement Don't forget to share your pictures and follow me on social media! Don't forget to share your pictures and follow me on social media! 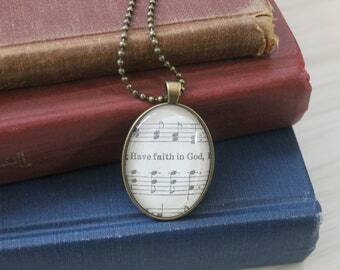 Faith in God Hymnal Necklace. 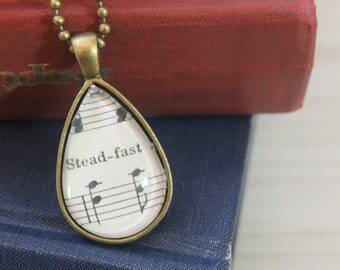 Such a beautiful necklace! Very friendly shop owner and fast shipping! PREORDER bright watercolor prayer bible tabs. Beautiful item and shipped quickly. Thank you! Redeeming Love Pendant. 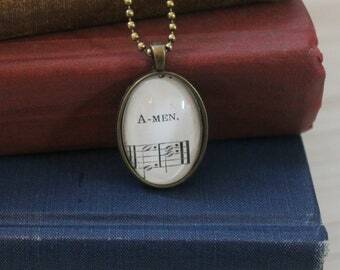 Bible verse inspired hymnal necklace. Finding the beauty in old things being made new. 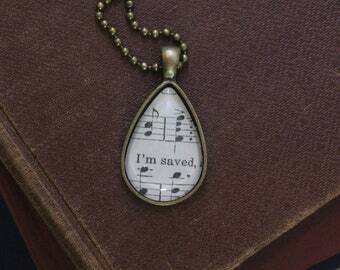 My prayer is that these necklaces will not only remind you to sing Gods praises daily but that by Him old is made new. I am a homeschool mama to two and married to my high school sweetheart. I love reading, crafts, tea and ice coffee. Above all that though I am daughter of the one True King! All glory goes to God!